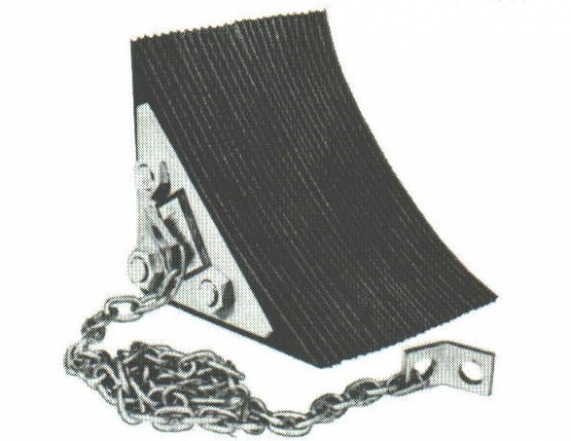 Wheel Chocks and Wedges are a must-have for facilities where trailers, railroad cars, airplanes, and other vehicles are maneuvered and parked. 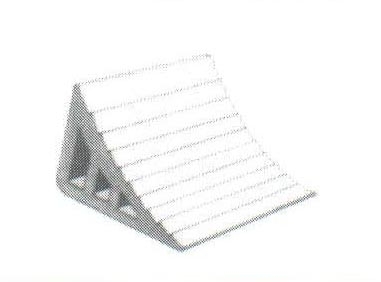 Chocks and Wedges are simple products that perform a vital function: They stabilize wheels to keep trailers, cars, etc. in place. We are pleased to offer two unique Check and Wedge products. Our Mini-Chock® are a safety standard for any facility that relies on loading and unloading materials from trains, trailers, and other wheeled transportation devices. Our Super-Chock® keeps heavy machinery and materials in place using a simple contoured construction. Choose either model to ensure your facility safety goals are met. Mini-Chock® are wedges that fit just beneath wheels to hold vehicles and containers in place. Manufactured with durable and reliable EPMD rubber for added longevity and slip resistance. Super-Chock® are made with laminated truck tier pads and metal, each Super-Chock® weighs just 14lbs and measures 8”x8”x8”. Laminated truck tire rubber pads and metal.